As I browsed through the site, I found out that there is a Category according to Location, which makes it a lot more easier for Province-based shoppers. The site is also easy to navigate that even newbies can easily move in the site whether by purchasing goods or posting ads. You can also seek for Friendship and those who are into Bands can post their contacts for possible gigs and bookings. Cool, isn’t it? 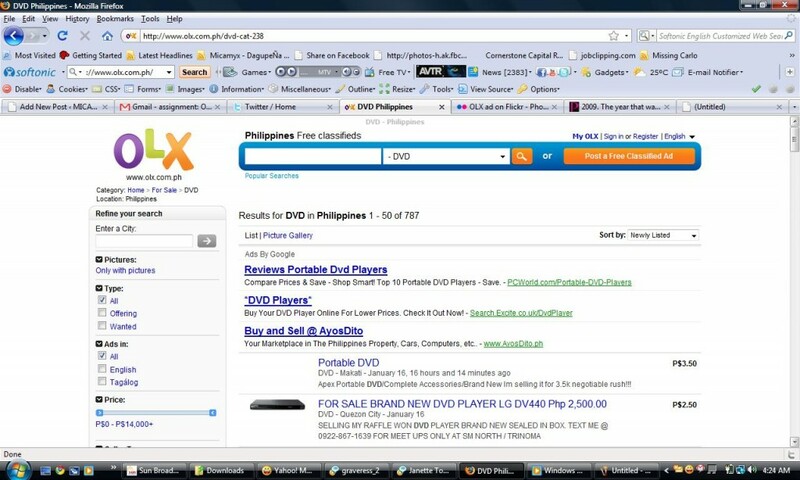 Given enough time and more promotion, OLX can surely dominate the Pinoy Online Classified Ads Community. Pwede ring tambay ng mall. I just posted an ad there to promote our February event under Makati /Events. I hope it will turn out ok.